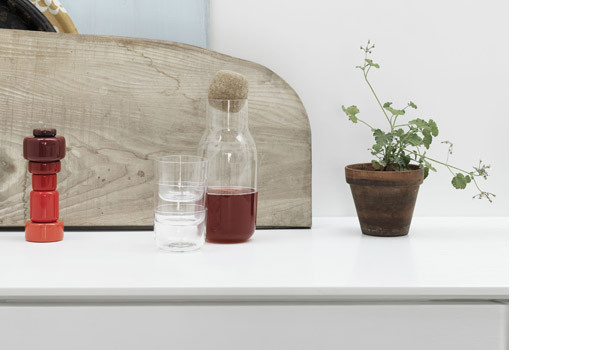 Corky, carafe and glasses by Andreas Engesvik / Muuto. 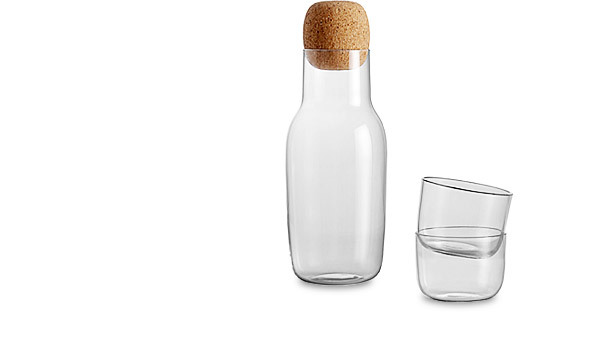 Material: Soda lime glass, granulated cork. 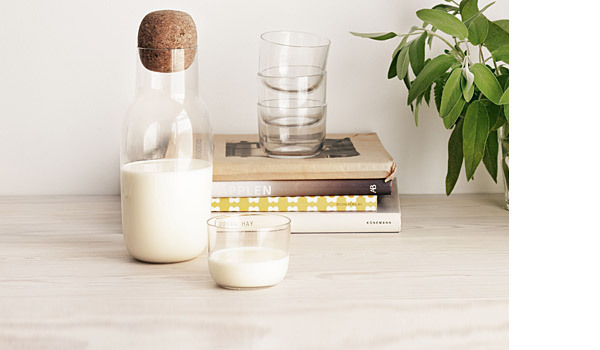 Size: Carafe Ø 9,9 cm, height 22,1 cm (vol.1 Liter), glasses Ø 4,5 cm, height 6,0 cm.